What is a sales rep? B2B sales representatives – or sales executives as they’re also known – sell products and services directly to other businesses and organisations, rather than to consumers. 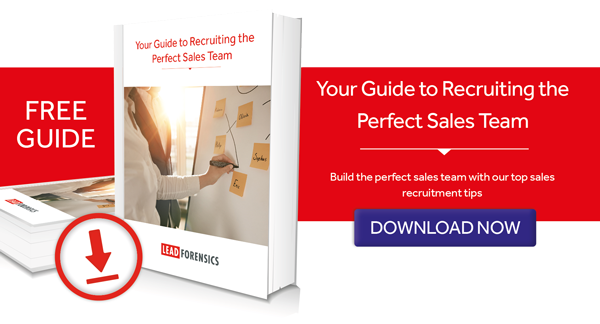 Sales reps are required to have an encyclopedic knowledge of the solution they’re offering, as well as a complete understanding of how it can benefit the potential buyer and solve the problems they may have. What is a sales consultant? A sales consultant is identical to a sales rep in every way other than name. The term has been adopted in recent years and embraces the concept that sales teams should now take more of a consultative role, than just selling. Of course, as noble as this concept is, no consultant is ever going to be impartial. If a prospect is a good fit for the business, then a sales person would never recommend a competitor to them. And if they’re not a good fit, then they should have been disqualified during lead scoring, earlier on in the process. What skills do you need to work in sales? The products a sales rep is required to sell, and by extension their target audience and the skills set they need, will vary drastically. Very different methodology will be needed if you’re selling stationery to local offices, compared to selling legal services to multinational corporations. Sales reps need to be able to tailor their pitch and hone their skills to suit each audience. In addition to this, sales reps may have to deal with multiple stakeholders for any purchase, each of which will have their own set of priorities that need addressing separately. A one-size-fits-all approach is unlikely to work. Sales reps need to know their product or service inside and out, including all the features and benefits, who it can help and what problems it can solve. As such, most of the training for this role is best done on the job. Armed with this knowledge, reps will not only be able to handle objections, but often prevent them from coming up in the first place. B2B sales reps are required to have exceptional communication and customer service skills, with the ability to adapt any pitch on the fly. They need to have advanced people skills, as well as exceptional listening skills – being able to process carefully what is being said and to understand exactly what problems the other person may be facing, so these needs can be addressed directly. Key to success is demonstrating a complete understanding of the product being offered, as well as the issues it is designed to solve. Any sales rep needs to be able to demonstrate expertise within their sector, to be able to form a rapport with a potential client and position themselves as an authoritative source that understands the issues and can offer the perfect solution. To achieve this takes thorough preparation. It comes down to thoroughly researching contacts before the phone is ever picked up, to find some common ground and identify what they’re likely to bring up on a call. The best B2B sales reps are persistent, as they understand that the sale will need to be conducted over a much longer period of time and is often more complex, with multiple stakeholders involved. Sales reps therefore need to be patient and avoid the temptation to jump the gun and get too pushy, whilst still applying enough pressure to keep the ball rolling. This can be a delicate balancing act and can often result in failure, even when no mistakes are made. Resilience and tenacity are key skills, allowing reps to move past the ‘one that got away’ and instead focus on the next lead in the pipeline. Give insight into what each visitor has looked at, as well as where they came from. Take a look for yourself with a free, no obligation trial – you can get started today! Discover the identity of your website visitors – and convert them to sales.